Careful planning will improve your chances of starting a successful business. If you’re thinking of starting a business in Spearfish follow this list of steps to help simplify the process. Your business plan communicates what your business does, your vision for the future, and the steps you will take to reach your objectives. Contact the Small Business Development Center or visit sba.gov for free business planning software. State law requires all partnerships and sole proprietorships that use fictitious names to register their business name with the SD Secretary of State. Corporate entities that are conducting business in SD under any other name other than their corporate name are also required to file. To register your business name online visit the Secretary of State website here. While Spearfish has no general business licensing requirements, certain type of businesses do need to obtain a special license/permit in order to operate. Contractor’s license, alcohol license and home based business permits can be obtained by contacting the City of Spearfish. For a listing of businesses requiring a state license please click here. An Employer Identification Number (EIN) is also known as a Federal Tax Identification Number. It is used to identify a business for tax purposes. All businesses need an EIN when hiring employees or when operating as a corporation or partnership. To obtain a EIN click here. This is a free service offered by the IRS. Any business, organization or person engaged in retail sales, including the selling, leasing and renting of tangible personal property, products transferred electronically, or the sale of services is required to obtain a sales tax license and collect and remit the applicable tax. To learn more about sale and use tax, download guide here. To apply for a sales tax license click here. There is no fee to obtain a license. Self-employed individuals generally must pay self-employment tax (SE tax) as well as income tax (SE tax) is a social security and Medicare tax primarily for individuals who work for themselves. It is similar to the social security and Medicare taxes withheld from the pay of most wage earners. It is computed using Schedule SE (Form 1040). To learn more, click here. All new and acquired businesses in South Dakota are required to register with the Unemployment Insurance (UI) Division of the Department of Labor. The program is financed by employers through payroll taxes and it provides insurance or benefits to people who become unemployed. To learn more about unemployment Insurance click here. The Federal Unemployment Tax Act (FUTA), provides for payments of unemployment compensation to workers who have lost their jobs. Most employers pay both a Federal and a state unemployment tax. Employers report this tax by filing an annual Form 940 with the Internal Revenue Service. The tax rate is 6% and is accessed to the first $7,000 on wages paid to each employee. For more information, click here. 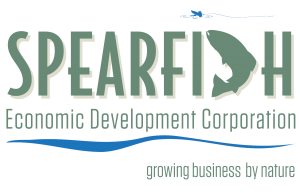 Spearfish Economic Development can offer guidance when you are seeking business finance and incentives. Learn more about local economic development programs by clicking here. Contact Spearfish Economic Development to find available properties in Spearfish that are for sale and/or lease. To search for commercial properties for sale and/or lease click here.